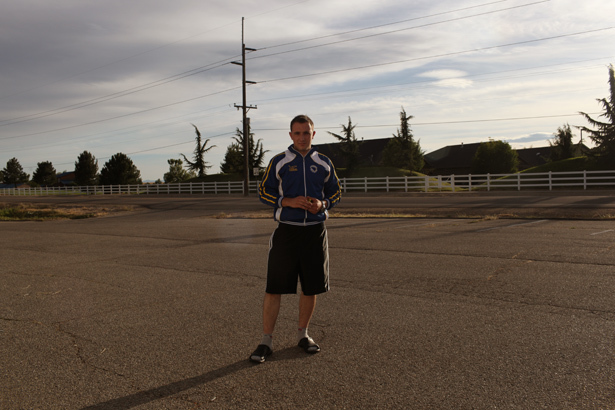 Imam Fahrudin stands in the parking lot of the Islamic Community of Bosniaks in Boise. Fahruddin, 21, was playing soccer at a nearby field before arriving at the mosque. Note: Due to car troubles and long drive time, this post has been made a day late. Please accept our apologies as we are trying to stay on schedule with our route. 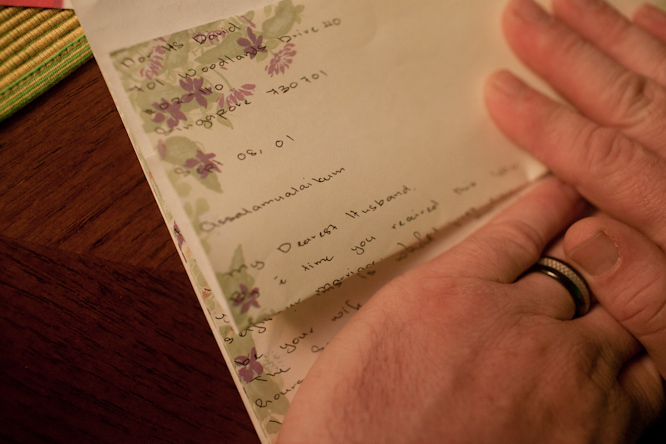 During the Ethnic Cleansings in the 1990’s, the US government helped bring thousands of Bosnian families to America. Like most refugees, they were settled in quieter parts of America, areas that are less crowded and more affordable. And that’s how many Bosnian families ended up in Boise, Idaho. 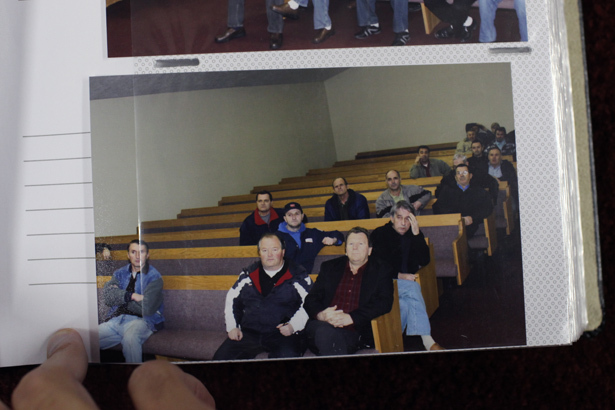 But unlike many of the other refugee communities that were brought to Boise, the Bosnians decided to stay in the city. Many of the Somalian, Burmese and Afghan refugees that were stationed to Boise fled to different parts of the country where there were more people from their ethnic backgrounds. “It’s a lot like home here,” Merzeen, a construction project manager who came to Idaho 12 years ago from Bosnia, says, “the climate, the outdoors.” The Bosnians, like Merzeen, had no issue embracing Boise as home. Soon enough, the Boise Bosnians were growing in numbers (approx. 2,000), but there still wasn’t a community space big enough to accommodate them. The small 1500 sq ft makeshift house they prayed the Friday prayers in wasn’t enough for their growing community and they needed a larger space. 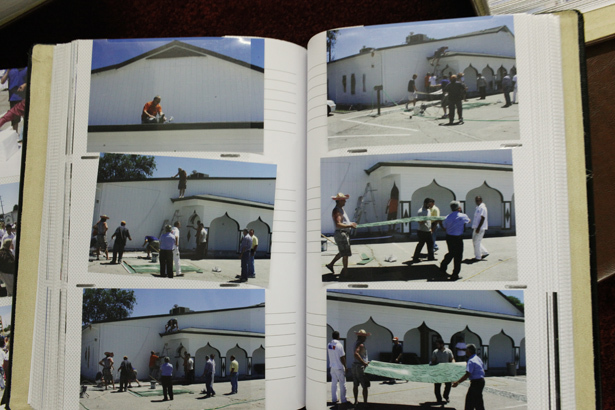 It took 12 years for the Bosnian community to come together and build a mosque. 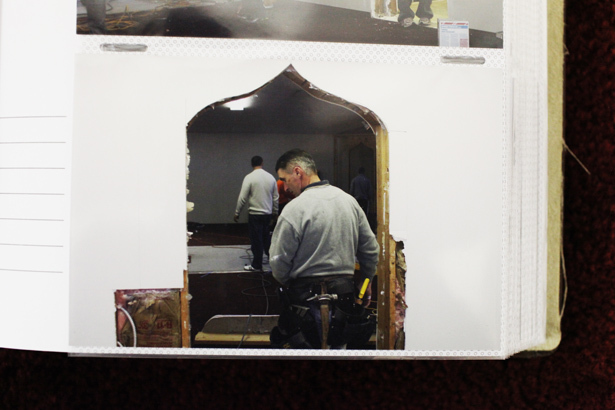 The community bought out an abandoned church and built a mosque with their own hands. Everything from the wall plaster to the electric wiring was done by the community members. 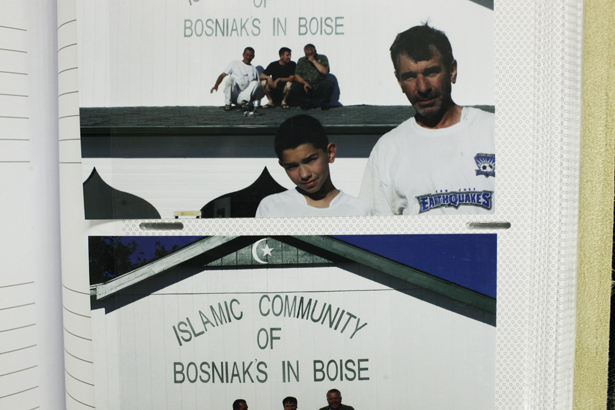 On July 4th 2010, the Islamic Community of Bosniacs in Boise officially opened its doors. 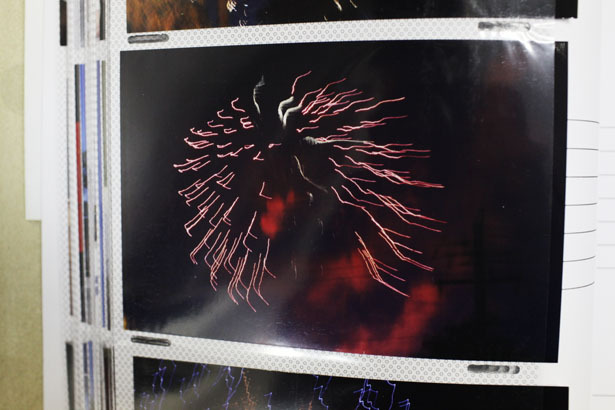 It was a joyous and emotional occasion with food, riveting speeches and, of course, fireworks. The completion of the mosque was a long and labor intensive road. Thankfully, Denis, the de facto historian of the community, has been taking photos of the center since the first community meeting at the abandoned church. 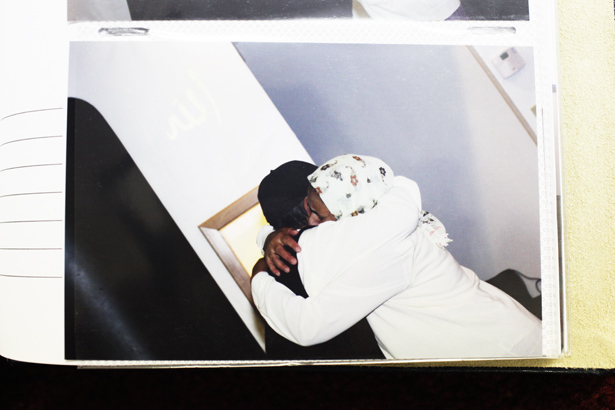 The following moments are taken from Denis’ extensive collection of photos that can be found in the Boise mosque, tucked away in the bookshelves binded neatly inside five white large photo albums. 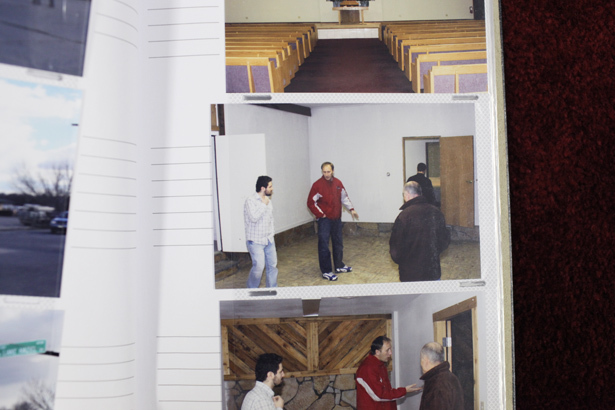 The first meeting held at the abandoned church right after the purchase of the property was finalized. The community bought the church for a half million dollars. During the construction, at any given point, there would be close to 40 community members helping out. 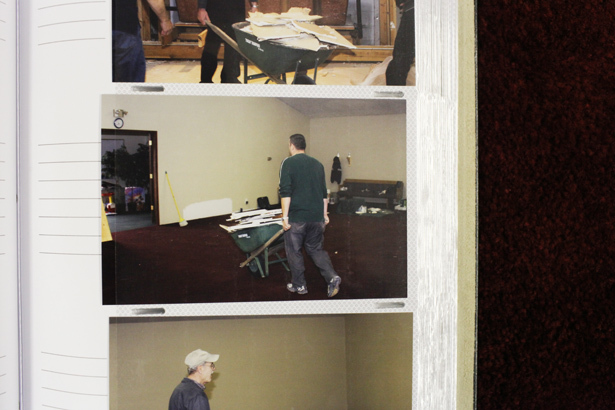 Community members take out theseats from the church hall to make space for prayer. The prayer area of the mosque, musala, was completed within two weeks of the construction. 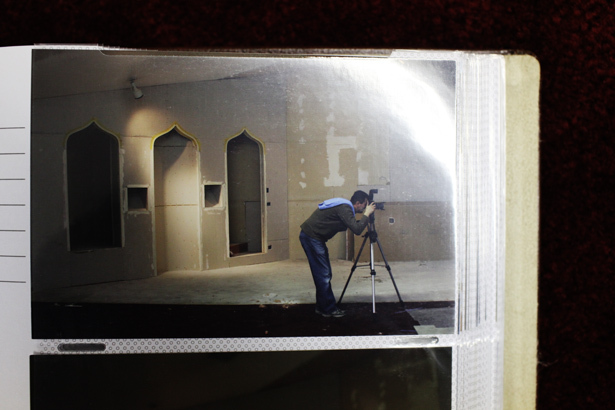 Many photographers in the community have meticulously captured every step in the building this mosque. 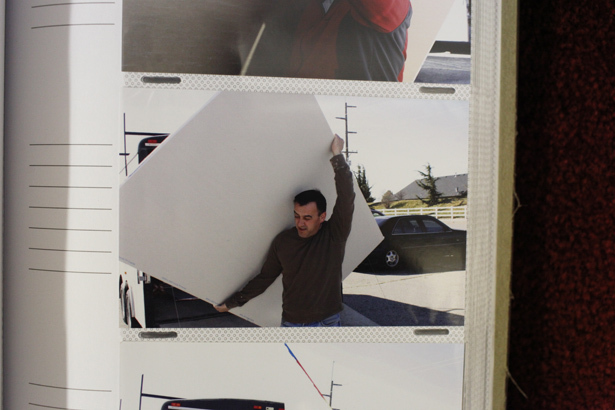 Since many of the Boise Bosnians are construction workers or electricians, the community didn't feel the need to hire any outside laborers. After all the construction inside was complete, the last step was to put up mosque sign. The community members climb to the top of the mosque in celebration of the mosque construction being completed. 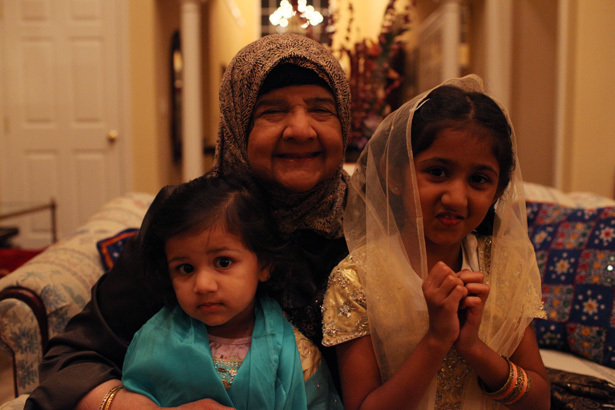 In celebration of the mosque's opening and Independence Day, the community held a fireworks show on July 4th. 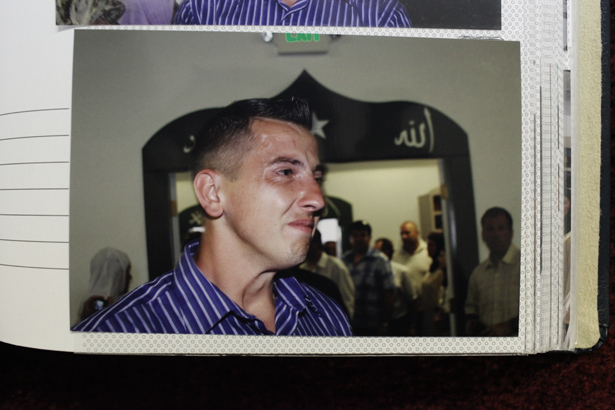 As the congregants enter the completed mosque for the first time, a young man tries to hold himself together.